Sergei works at Uvita GmbH in Berlin, Germany. 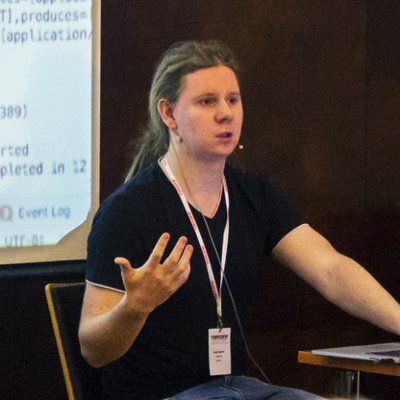 He is an active member of an Open Source community, member of the Apache Foundation, co-maintainer of TestContainers project, and a contributor to various OSS projects (Apache Groovy, TestContainers, JBoss Modules, Spring Boot, to name a few), likes to share the knowledge and was presenting at different conferences and meetups in Russia, Ukraine, Denmark, Spain and Estonia. He is passionate about DevOps topics, clouds, and infrastructure. Started his journey with Docker in 2014. Before Uvita, he was working at N26, Zalando, ZeroTurnaround, TransferWise and other startups.